I’m pretty sure I might have mentioned at some stage that I’ve been selected as a giver for World Book Night next week (23 April). If I haven’t, well now you know and I’M SO EXCITED! What is World Book Night, you ask? Each year we recruit 20,000 volunteers to hand out 20 copies of their favourite book from our list to members of their community who don’t regularly read. By enlisting thousands of passionate book lovers around the country World Book Night reaches out to the millions of people in the UK who have yet to fall in love with reading in the hope that we can start them on their reading journey. In addition World Book Night distributes half a million books directly to the hardest to reach potential readers in prisons, care homes, hospitals, sheltered, supported and social housing, the homeless and through partner charities working throughout the UK. World Book Night is about giving books and encouraging reading in those who don’t regularly do so. But it is also about more than that: it’s about people, communities and connections, about reaching out to others and touching lives in the simplest of ways, through the sharing of stories. (via the World Book Night website). So you can see why I’m so excited. I’m a huge advocate of literacy programmes and reading and I can’t think of a better way to spread the joy of reading than through handing out a free book to 20 strangers. Hopefully I’ll make someone’s day–I know mine would be made if I got a free, unexpected book on the street! The book I’ve been selected to hand out is Patrick Ness’s The Knife of Never Letting Go. It’s such a good book and there’s so much more to it than that… It was one of my favourite reads of 2012 if that’s any indication for you! That brings me to my giveaway here on The London Diaries. 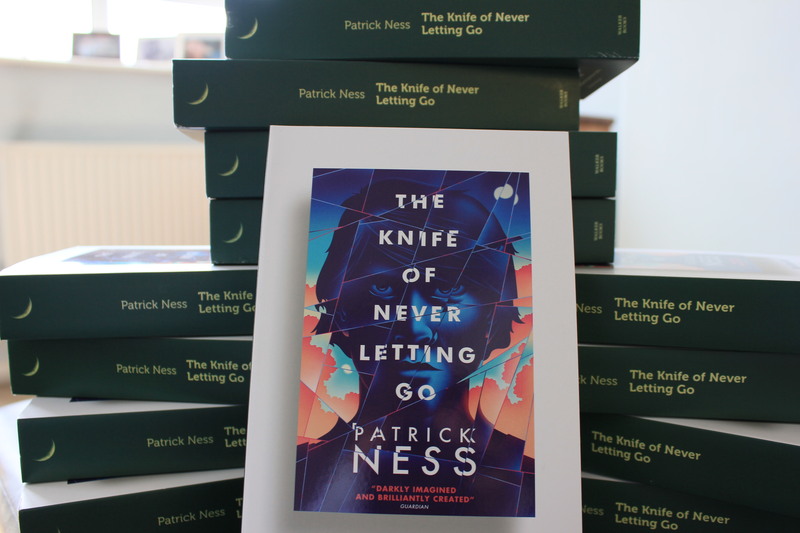 I have 20 gorgeous copies of the The Knife of Never Letting Go, complete with special edition World Book Night cover art–and you could win a copy! What do you need to do? Simple–either click the “like” button for this post or leave me a comment. That’s it! On World Book Night, I’ll be at the Southbank Centre’s World Book Night celebration and I will be live tweeting the winner then. You’ve got until 5pm on Tuesday to like or comment to win. In the spirit of World Book Night, it’s important to note that I’ll also be shipping internationally, so where you are doesn’t matter. That one looks awesome too! Pick me! It’s definitely on my to-read list. Good luck on the night! I’m a big dystopia fan and so I would love to enter!